Do people enjoy your products? Why or why not? Find out in few clicks and export it for further action.Track Sentiment Analysis of your Products and competitors and respond to customer feedback and Massively Increase Existing Product Earnings. TRY the 7 day Free Trial Then ​ $9.99! ​Use simple spy search to research FBA Fees and estimated monthly sales. No plugin Required. Simple Spy Search is free to use along with the above offer. ​Search products using demand, price, estimated sales and reviews and much more..
​Use the power of data at your finger tips to discover unheard of OPPORTUNITIES with real time amazon product data. ​Grasp an ever expanding Amazon marketplace with smartest product research tool & begin making more income today. Reviews — What are people saying about you?. Amazon keyword rank tracker – Track daily changes in products keywords rankings.Allows you see where your amazon products rank for different keywords and saves hundreds of hours of manual research and track your competitor’s rankings and spy on their sales velocity and learn from what they are doing and improve on it. AI Based Sentiment analysis - Do people enjoy your products? Why or why not? Find out in few clicks and export it for further action. 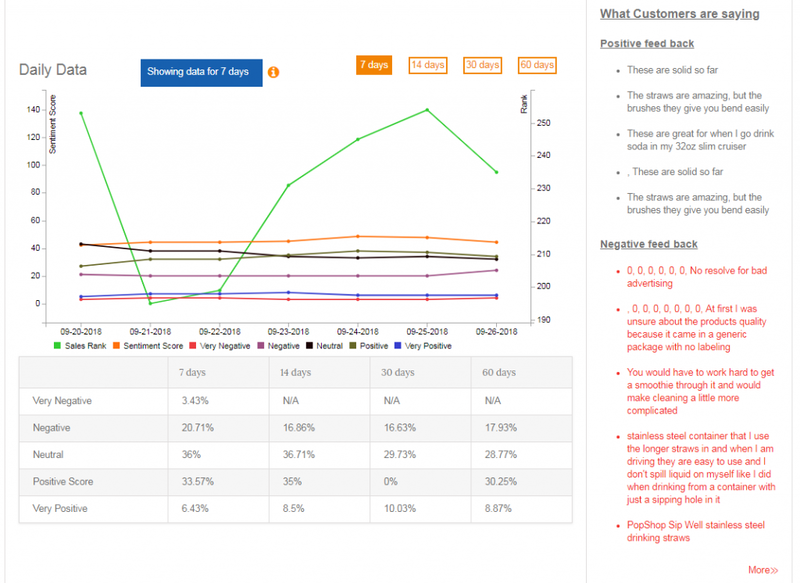 Analyse customer feedback - Analyse customer feedback from other sources such as your own site reviews ,other channels you are selling and from customer communication emails and chat transcripts and export the data to a spreadsheet. Sentiment — Do people enjoy your products? Why or why not? "​A whole lot of value in one tool set..."
"​​I have been immensely impressed with the features product spy pro offers for ​reasonable price. I love the idea of weekly research reports which gives me an idea about the new keywords and products which are trending up and helped me to grab new opportunities before competitors jumped into these new products." "​Use your time to build your business and let us do the research for you." ​At ProductSpyPro, we believe in enabling businesses of any size in AMAZON FBA space to become truly data-driven. We relentlessly strive to provide the best business intelligence for our customers using our machine learning expertise. Our Product Tracking & Competitor Analysis track Estimated sales, products keywords rankings,revenue and more sales metrics update daily. ​Save hours of invaluable time with an easy-to-use product tracker, doing away with manual or excel spreadsheets. Automate product tracking to focus on initial product research and spy on your competitor’s every move. ​Track sentiment analysis of your products and competitors and respond to customer feedback and massively increase existing product earnings. ​Simply look up and filter through thousands of items and discover what sells in the Amazon marketplace. Created for sellers, the Power Spy Search also called as Product Spy database offer you all of the critical metrics you might want to utilise to make a data-driven buying decisions. ​What if you can get real-time metrics about amazon products to make decisions about profitable products? Product Spy Pro’s data science driven approach offers precise product metrics to make killer profits.Real-Using Simple Spy Search, you can do real time amazon product research. "A whole lot of value in one tool set!....." Product Research Tool Set to Easily Replace 2 Virtual Assistants. Product Research & Product tracking On Autopilot. Track your own products’ sales, rankings, and reviews. Stay on top of your sales performance. Throw away your time-consuming Excel spreadsheets. Get alerts immediately after receiving a negative review. Real-time, up-to-the-minute information about what sells best on amazon. Stay on top of the market with customizable weekly reports. Real-time data is fresh and up-to-date, enabling smart decisions. Discover new products, emerging trends, and lucrative niches. Get up-to-date information about the profitable keywords. Discover what’s trending and how you can capitalize on it. Write your product descriptions with ease. Track daily changes in products keywords rankings.Allows you see where your amazon products rank for different keywords and saves hundreds of hours of manual research and track your competitor’s rankings and spy on their sales velocity and learn from what they are doing and improve on it. Do people enjoy your products? Why or why not? Find out in few clicks and export it for further action. Analyse customer feedback from other sources such as your own site reviews ,other channels you are selling and from customer communication emails and chat transcripts and export the data to a spreadsheet. Learn how to improve your product listings to make more sales. See where your product descriptions are costing you money. Get accurate, line-by-line analysis of your entire listing. Quickly fine-tune your listing, using industry best practices. 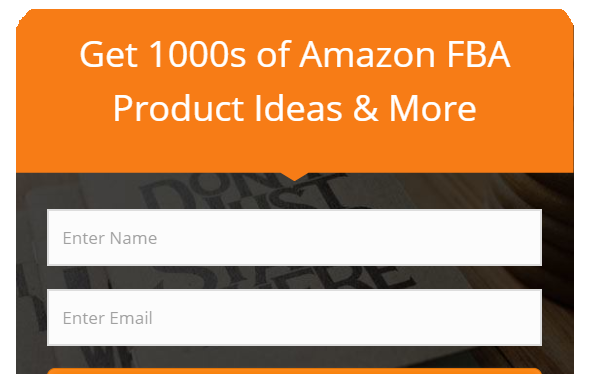 "​You get BONUS Tools to get additional Amazon Product Research." ​More tools for less money. ​Don't wait & join now! Use Product Spy Pro to find killer products to sell in amazon. Research Amazon private label products For Free..
Get Instant Access to ​ProductSpyPro! Access all five tools in the Product Spy Pro toolset, free for seven days, and then pay just a third of the regular price. 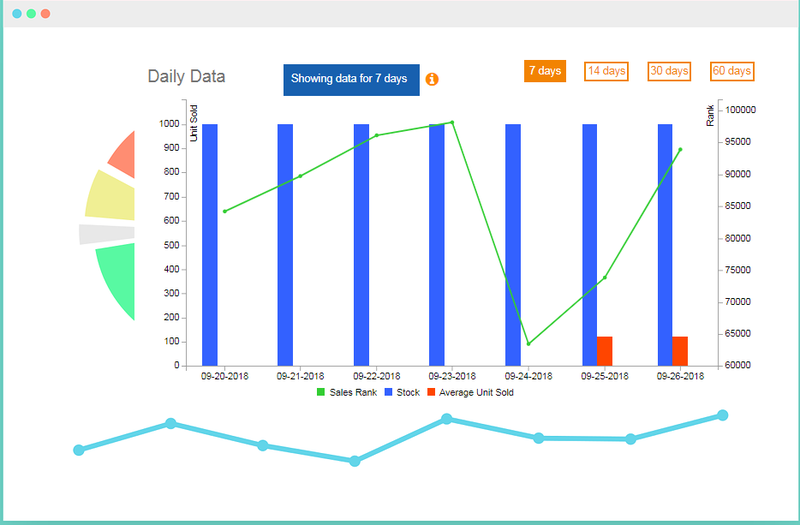 Click below to begin tracking your competitor’s now! ​click the button below to get instant access to ​ProductSpyPro ! ​LIMITED TIME OFFER:Customized Research Reports and Free tools are available to first 200 customers only. ​Hurry. Act now.This offer is limited to first 200 customers only. ​Our Last sales campaign resulted in fastest filling out of all our limited slots. Get Instant Access to Our Powerful Product Spy Pro! You are fully protected by our 100% Satisfaction-Guarantee. If you ​are not satisfied with our product over the next 30 days, just let us know and we'll send you a prompt refund. 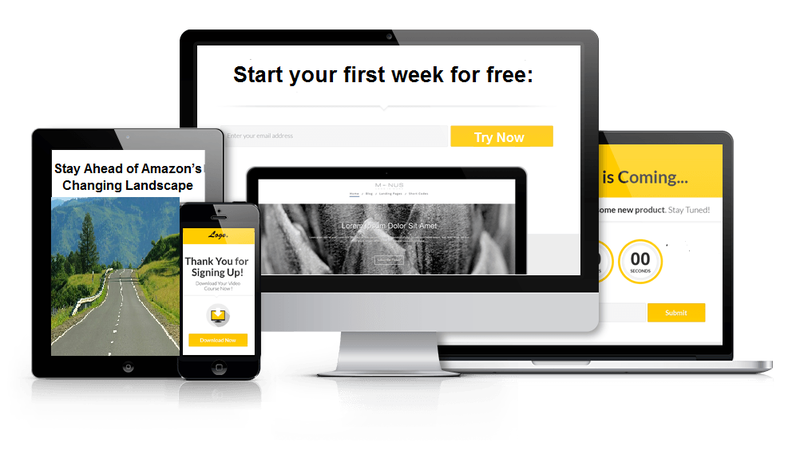 "I​00% Risk Free: If you try ​Product Spy Pro today, you get all these bonuses… and you have ​7 days to try it all out. IF you don’t like it, email our support team ​, we’ll give you 100% of your money back." ​What is Product Spy Pro? ​Product Spy Pro is a data driven tool to support selling on Amazon. 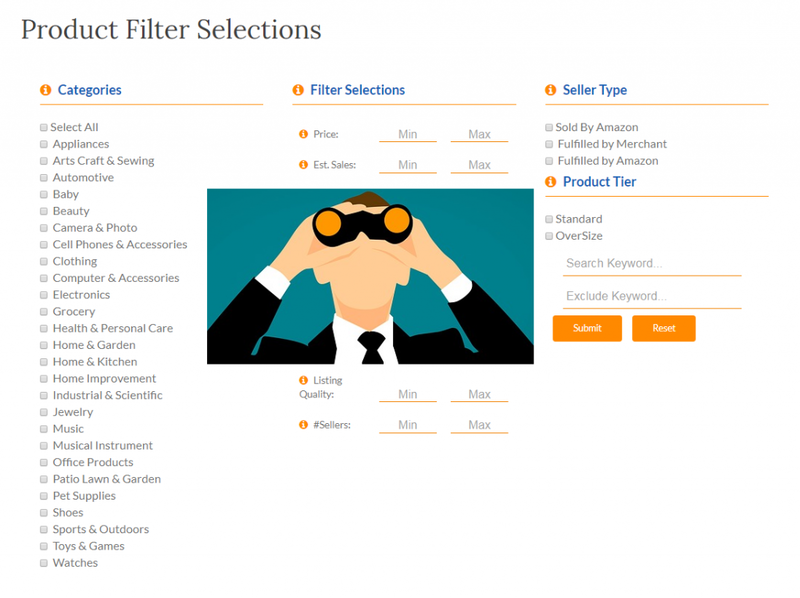 It has the power to enables entrepreneurs to make decisions on what to sell based on trends and taste of Amazon customers derived from the data..
​How can I do product research using Product Spy Pro? ​Product Spy Pro uses data science to derive trends on millions of products being sold on Amazon. 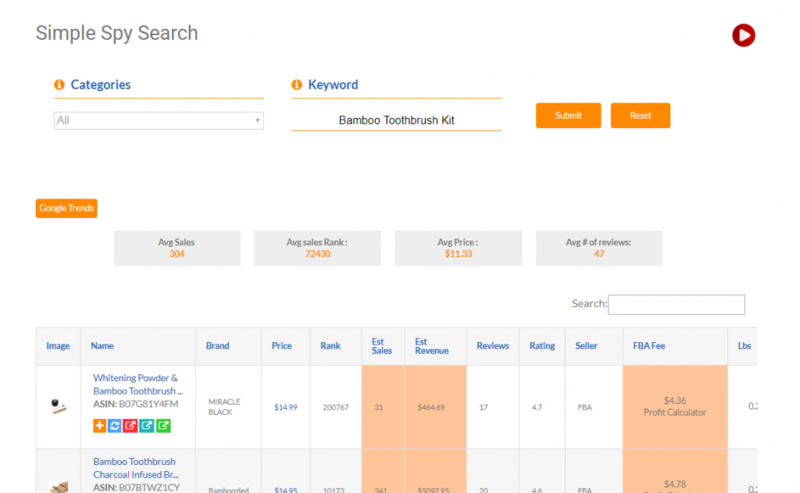 We make these analysis available so you can customize your search based on product category, Amazon sales rank, listing quality, estimated sales, estimated revenue and so on. ​How long do you keep historical data? ​We continue to add latest data to our platform and keep the data upto one year. This allows us to derive trends that are moving upward, downward or stagnant reflecting the direction in which Amazon customer are behaving. The product tracking data is kept for one month. ​How often can I change or update products and keywords on my account? ​You are free to change your products and keywords as often as you like. ​How do you calculate the sales estimates for the amazon products?? ​The sales estimate is based on trends observed over time for Sales rank versus number of units sold. We derive sales estimate for a given Amazon sales rank using data science driven machine learning ​algorithm. ​How Sentiment Analysis helps my company? ​Our AI driven sentiment analysis helps you to track buyer satisfaction and customor feed back about your product features and improve the product for more sales and react to negative customer feed back.